The Hyundai Tucson underwent its last major redesign in 2010, but there are a few small changes for the 2015 model year. The base GLS model adds items like a touchscreen radio and power driver's seat in the Popular Equipment Package; the top of the line Limited model gets LED taillights as standard equipment. The Tucson sports a sharp look up front that flows into curvy lines along the sides and rear. The fenders rise up subtly. LED taillights and projector headlights with LED accents are available on some models. It comes in three trims for the GLS, SE, and Limited models. A sunroof is available, too, for a touch that's a bit more upscale. Buttons on the dashboard controls are labeled clearly and are easy to reach and operate. Some standard features in the base Tucson are air conditioning; Bluetooth hands-free calling and audio streaming; keyless entry; a USB port; satellite radio; and power windows, power locks, and power mirrors. The GLS features automatic headlights, fog lights, and heated front seats. The SE model has a 4.3-inch touch screen and a rearview camera. The top of the line Limited has a seven-inch touch-screen navigation system that's easy to use, voice recognition, HD Radio, and BlueLink services. The cabin of the Tucson is more attractive now. While the dashboard panels and the wall columns are plastic, Hyundai obviously took care to instill some richness in this 2015 edition. The brushed chrome fixtures and seat fabrics and patterned and look and feel better. The seats adjust for plenty of legroom. Heated front seats and an eight-way power-adjustable driver seat are available. The Limited adds leather seating. The front passenger seat and the rear seats can fold down to accommodate various loads. There are several nooks and holders for some small items. The Tucson offers nimble handling and impressive, easy maneuverability that's much like a small car. The suspension can handle rough roads. Test drivers say the transmission delivers easy, fluid shifts. Front-wheel drive is standard, but all-wheel drive versions are available as well. This SUV has fairly high visibility and it manages to pass all the right safety checks. The Tucson features hill descent control, brake assist, active headrests and tire pressure monitors, along with the expected air bags and stability system. When it comes to crash test results for all compact crossovers, the findings put the Tucson about in the middle of the pack. The Institute for Highway Safety tested the Tucson in all categories and gave it "good" ratings. The only "poor" rating was in the new small overlap frontal test. Fuel economy ranges from a low-end 20 m.p.g. in the city and 25 on the highway for an all-wheel drive 2.4-liter model up to 23 m.p.g. and 29 on highways for the front-drive 2.0-liter model. Those numbers are fairly respectable. The manufacturer's suggested retail price for the basic GLS model is $21,650. Buyers could expect to pay an average of $22,330 for it and up to an average $28,524 for a Limited model with some extras. The 2015 Tucson is covered under Hyundai's five-year/60,000-mile limited warranty and a 10-year, 100,000-mile powertrain limited warranty. U.S. News and World Report ranks it No. 13 among 23 affordable compact SUVs. The ranking is based on all published reviews of the car and test drives, and it takes reliability and safety data into consideration as well. The Tucson places right below the Chevrolet Equinox and Jeep Cherokee and just above the Nissan Juke and Subaru XV Crosstrek and the quirky Mini Cooper Countryman. While the Tucson has plenty of space for two people in the front seats, the back seat is cramped for three adults. Small windows reduce the view through the rear of the vehicle. The base Tucson is powered by a 2.0-liter, four-cylinder engine that tops out at 164 horsepower. Some report it slow and a bit sluggish, with little reliable passing power. A 182-horsepower 2.4-liter, four-cylinder engine is available. Hyundai gave the Tucson a significant upgrade last year; it added direct-injection engines and Sachs dual-path dampers. As a result, the 2.0-liter and 2.4-liter engines produce a bit more torque than the previous engines and fuel efficiency is up, too. Despite the automaker's effort, the 2.0-liter version is merely adequate. 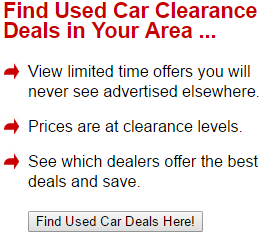 It might be best to consider only the 2.4-liter cars. The Tucson has just 25.7 cubic feet of cargo space when the rear seats are up and 55.8 cubic feet of space with the seats folded. Many competitors offer a lot more space. The Subaru Forester, Nissan Rogue, and Honda CR-V all have at least 70 cubic feet of cargo space. Although they're meant to add a hint of luxury, the leather seats in the Limited model are skimpy and tilted at an odd, uncomfortable angle. If the Hyundai Tucson Limited model looks appealing to a buyer, he or she might want to steer clear of that option for seat covering. The South Korean automaker continues to produce SUVs that are good-looking, serviceable choices in the crossover market. 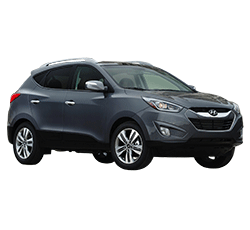 While the 2015 Hyundai Tucson is burdened with an unexciting powertrain, the vehicle has some good features that are undeniable. Car shoppers who are considering all SUVs might want to look across at the Chevrolet Equinox; it has a V6 engine and boasts a comfortable ride.